Dr. William A. Barnett is an eminent economic scientist and originator of the Divisia monetary aggregates and the “Barnett Critique.” His work in the area of monetary and financial economics has been highly influential in shaping academic and central-bank staff research in the last thirty years. He has published widely on tests for nonlinear dynamics, chaos, and bifurcation in macroeconomics, and is a major contributor to research on modeling consumer and producer behavior. His degrees in engineering, finance, economics, and statistics are from the Massachusetts Institute of Technology (BS), the University of California at Berkeley (MBA), and Carnegie Mellon University (MS, PhD). Dr. Barnett is Oswald Distinguished Professor of Macroeconomics at the University of Kansas Department of Economics and Core Faculty Member of the Center for Global and International Studies at the University of Kansas, as well as Senior Fellow of the IC2 Institute at the University of Texas at Austin. He is Founder and Editor of the Cambridge University Press journal, Macroeconomic Dynamics, and Founder and Editor of the Emerald Press monograph series, International Symposia in Economic Theory and Econometrics. Dr. Barnett founded the Society for Economic Measurement and serves as its president. 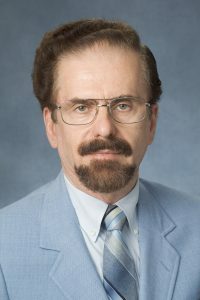 He is founder and director of the Institute for Nonlinear Dynamical Inference in Moscow. He is also director of the Advances in Monetary and Financial Measurement Program at the Center for Financial Stability in New York City. He previously was on the staff of the Board of Governors of the Federal Reserve System in Washington, DC for eight years, was Stuart Centennial Professor of Economics at the University of Texas at Austin, Full Professor of Economics at Washington University in St. Louis, and Research Associate at the University of Chicago. Prior to becoming an economist, he was one of the system development engineers who at Rocketdyne developed the F-1 booster rocket engine for Apollo. Dr. Barnett has published over 200 articles in professional journals and 32 books, as either author or editor. He co-authored the book, Inside the Economist’s Mind, with the late Paul Samuelson, America’s first Nobel Prize Winner in Economics. He has also received over 43 different awards and honors. His research has been published in 7 languages. In 2013, Dr. Barnett was awarded the Balfour S. Jeffrey Research Award in the Humanities and Social Sciences. He won the American Publishers Award for Professional and Scholarly Excellence (the PROSE Award) for the best book published in the field of economics in 2012, Getting It Wrong: How Faulty Monetary Statistics Undermine the Fed, the Financial System, and the Economy.